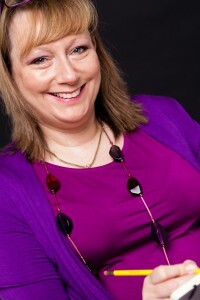 It’s time for another in my interview series, ‘My First Time’- this week fellow Accent Press author April Hardy is opening the book on her recent publishing beginnings. I must have been in the third or fourth year at secondary school, and those of us who wished to could hand write a “book” in an exercise book. A selection of these would go into the school library for other students to borrow. Anyone who’d tried to decipher my handwriting had advised me not to bother, as nobody would be able to read it! So, with that warm encouragement ringing in my ears and a story burning in my mind, I’d grabbed a handful of scrap paper and set to work on a rough copy. My “book” was based on the true story of a woman called Kitty, who had run theatrical digs, a stone’s throw from the Theatre Royal, Drury Lane. My mother and aunty had stayed with her many times when their dance troupe had been working there, and had kept in touch after they’d retired from the theatre. Kitty’s digs had still been popular in the 1960s when the lease on the building ran out. She was an elderly lady by then and, although she and everyone who knew her fought against it, she was re-housed in the brand spanking new town of Milton Keynes. A Londoner through and through, Kitty had hated the soullessness of the new town. She’d hated its concrete cows, its lack of theatres, history or community. It had been the beginning of the end for her and when she died, shortly before the “book “writing competition, my mother believed she’d died of a broken heart. My “book” didn’t make it into the library in spite of my slow and painstaking efforts with my handwriting. Apparently it had the requisite beginning, middle and end but, the teacher said, the conclusion was far too fanciful. And too sad. I don’t know what happened to the “book”. I suspect if I could re-read it now I would cringe at my teenage prose. What was your first official publication? Well, that would be a recipe booklet I wrote for the Papadopoulou Biscuit Company when I lived in Athens! Food has always played a big role in my life, and I’d just completed a Diploma in Culinary Arts with an idea (a rather naive one now I look back) of writing cook books for a living! As we moved from Greece to Dubai at that time, the physical product slipped right out of my life. I didn’t even receive the copy I was sent. But the process of writing it certainly re-awakened the writing bug in me. Gosh! 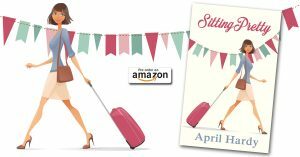 My first published story will be my debut novel, Sitting Pretty, a romantic comedy which comes out in July. I certainly hope it will reflect my current writing style as it’s one of three books I have coming out with Accent Press! Well, I’m working on a series of romantic comedies set in and around a trio of fictional villages in the New Forest, which is where I grew up. They are stand alone novels which feature the same settings and, in some cases some of the same characters may pop in and out. The manuscripts for these are with Accent at the moment, so while I’m waiting to make a start on my edits on these, I’m tapping away at possible opening chapters for the next one in the series. Since leaving drama school I’ve had an interesting and (hopefully) creative working life, in UK, Greece and now Dubai. I taught infant ballet classes, did pantomime tours and summer children’s shows, interspersed with waitressing and working in hotel kitchens. I spent many years as a dancer, then choreographer, before re-training as a pastry chef in a Swiss hotel school, with a plan to write cook books. 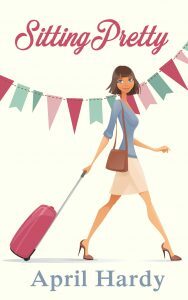 But it was having the words “Housewife – not allowed to work” stamped on my residency visa, here in the UAE, that gave me the freedom and the time to devote to something I’d always wanted to do – writing. The first manuscript I completed was a huge learning curve. It was a contemporary romance, set in London and Dubai and, though it remains unpublished, I learnt such a lot writing (and rewriting) it. And whilst at the Winchester Writers’ Conference in 2011, I met lovely Allie Spencer who advised me to apply for the Romantic Novelists’ Association’s New Writers’ Scheme. I spent four years in the scheme, soaking up the wisdom and knowledge of my “readers”. In 2014, I decided to try my hand at romantic comedy which, after all, was what I mostly read. I started writing Kind Hearts & Coriander, expressly to show to agent Luigi Bonomi at that year’s Emirates Lit Fest. It got me signed up by his wife, Alison Bonomi. In 2015, at the Romantic Novelists’ Association’s conference, I met the lovely Hazel Cushion, MD of Accent Press. I’d sent her the opening chapter of Hazard at the Nineteenth and she liked it enough to offer me a three book deal – all these months later and I’m still floating!